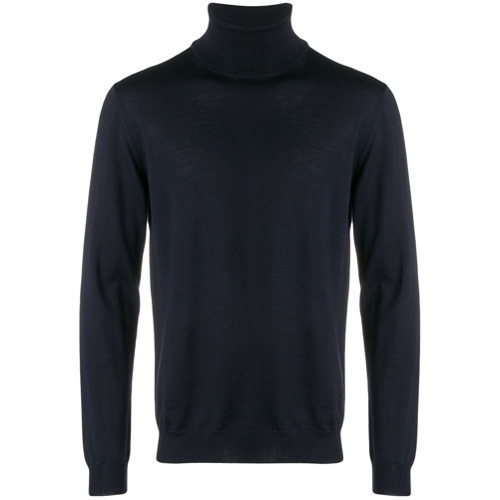 For a nothing less than incredibly stylish look, consider teaming a Zanone roll neck jumper with a grey wool suit. Grab a pair of black leather loafers to make the outfit current. 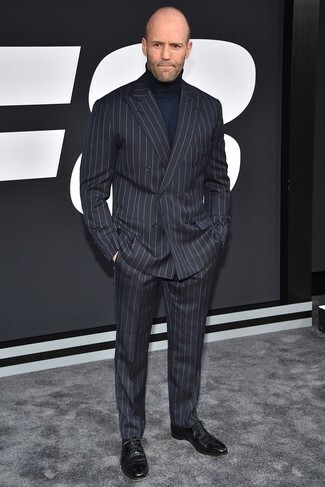 For a nothing less than incredibly stylish outfit, choose a Zanone roll neck jumper from farfetch.com and a black vertical striped suit. 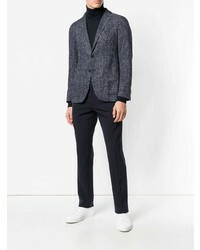 Lift up this look with black leather oxford shoes. 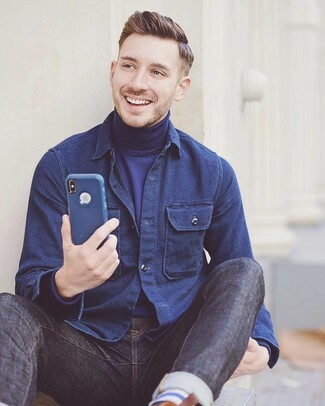 If you enjoy a more relaxed approach to style, why not pair a navy turtleneck with brown chinos? 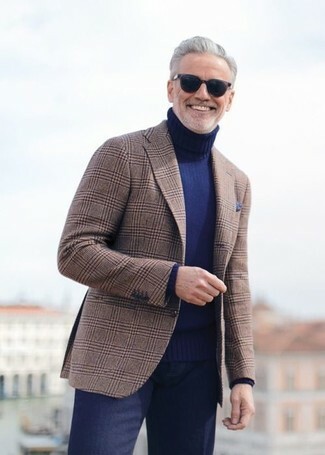 This combination of a Zanone roll neck jumper and a blue overcoat is very easy to put together without a second thought, helping you look seriously stylish and ready for anything without spending a ton of time combing through your closet. 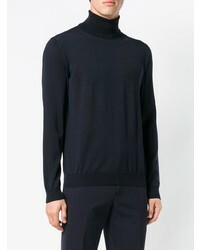 Perfect the cool and casual outfit by opting for a Zanone Roll Neck Jumper and navy jeans. 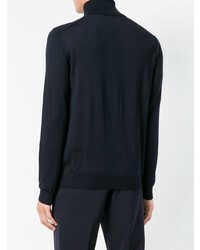 Dress in a Zanone Roll Neck Jumper and navy dress pants for incredibly stylish attire. 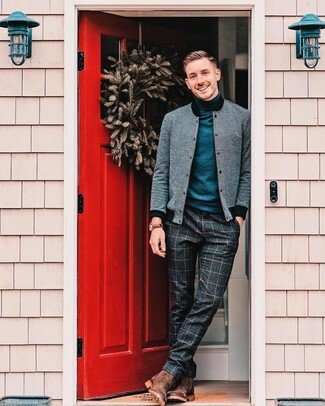 This combination of a Zanone roll neck jumper from farfetch.com and beige chinos is very easy to replicate and so comfortable to sport all day long as well! 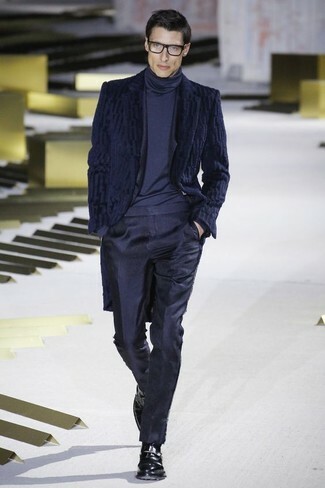 A navy turtleneck and charcoal check wool dress pants teamed together are a smart match. The whole getup comes together when you complete this getup with a pair of brown suede chelsea boots. 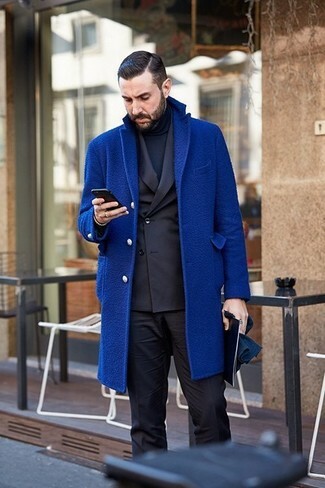 This combination of a Zanone roll neck jumper and a navy fur coat is very easy to put together in no time flat, helping you look awesome and ready for anything without spending too much time searching through your closet. Feeling inventive? Complement your outfit with black leather monks.